THE UK’S DECISION to join the invasion of Iraq was made before all peaceful options were exhausted, the Chilcot Inquiry has found. The report has not said, however, if the invasion was illegal or not. Sir John Chilcot said today at the publication of his inquiry’s 2.6 million word report on the 2003 invasion that his team was appointed to examine UK policy between 2003 and 2009 and to “learn lessons”. He added that the questions for the inquiry were whether it was right to invade Iraq and whether it could have been better prepared. “Hussein was undoubtedly a brutal dictator and in violation of UN obligations,” he told reporters this morning. The UK chose to join in the invasion of Iraq before peaceful options were exhausted. Military action was not a last resort. He added that the intelligence on weapons of mass destruction was “presented with a certainty that was not justified”. “Planning and preparation for Iraq post Saddam were wholly inadequate,” he said. Chilcot noted that the formal decision was taken by Cabinet on 17 March 2003 with parliament voting the next day. But, he added, the decisions leading to war were made over the previous 18 months. Chilcot said the inquiry could not say whether the invasion was legal, but said the basis for which its legality was decided – and the processes around which legal advice was arrived at and discussed – was “wholly unsatisfactory”. 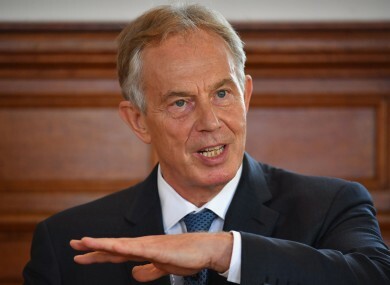 He said that former UK Prime Minister Tony Blair should have sought written legal advice on the war, which he did not. Iraq could not develop weapons of mass destruction while UN sanctions remained in place, Chilcot said. He acknowledged that Blair was advised that Iraq had nuclear capabilities far beyond what was true. It is now clear that policy on Iraq was made on the basis of flawed intelligence. They were not challenged. He said that the Ministry of Defence was slow to respond to the realities on the ground in Iraq, including the use of improvised bombs and a shortage of suitable vehicles. He added that the UK did not have enough resources to fight both wars in Iraq and Afghanistan. The UK military role in Iraq ended “a very long way from success”, Chilcot said. Blair responded to the statement this morning, saying he “takes full responsibility for any mistakes without exception or excuse”. He noted the report clears him of any illegal behaviour or attempt to deceive his cabinet. The report should lay to rest allegations of bad faith, lies or deceit. Whether people agree or disagree with my decision to take military action against Saddam Hussein; I took it in good faith and in what I believed to be the best interests of the country. “However the report does make real and material criticisms of preparation, planning, process and of the relationship with the United States. Speaking this afternoon, Blair said that he had “more sorrow and regret than you will ever know”. Arguably the biggest legacy of the 2003 Iraq War has been the advent of the so-called Islamic State, the culmination of 13 years of war in the country. The Chilcot Report shows that Blair refused to believe that an invasion would increase the terrorist threat in the region. The then-Prime Minister had been advised that an invasion of Iraq was expected to increase the threat to the UK and UK interests from Al Qaida and its affiliates. had the terrorists been able, there would have been not 3,000 innocent dead, but 30,000 or 300,000. They did not need to be recruited. Unless we take action against them, they will grow. That is why we should act. The Joint Intelligence Committee continued to warn in March that the threat from Al Qaida would increase at the onset of military action against Iraq, and warned of Al Qaida sleeper cells in Baghdad, to be activated during the occupation. One of the most difficult aspects of this is that there was obviously a danger that in attacking Iraq, you ended up provoking the very thing you were trying to avoid… This is where you’ve just got to make your judgement about this. But this is my judgement and it remains my judgement and I suppose time will tell whether it’s true or it’s not true. On Iraq, Mr Blair suggested a strategy for regime change in Iraq. This would build over time until the point was reached where “military action could be taken if necessary”, without losing international support.[...] That was the first step towards a policy of possible intervention in Iraq. Jack Straw, who was then British Foreign Secretary, is not let off lightly either by Chilcot. When he saw the draft paper on WMD countries of concern on 8 March 2002, he demonstrated a certain eagerness to concentrate on Iraq. Good, but should not Iraq be first and also have more text? The paper has to show why there is an exceptional threat from Iraq. It does not quite do this yet. On 22 March, Straw was advised that the evidence would not convince public opinion that there was an imminent threat from Iraq. Publication of the WMD dossier was postponed, but was made public later that year after intense speculation that the UK and US were going to invade. There was no evidence that Iraq had tried to acquire fissile material and other components or – were it able to do so – that it had the technical capabilities to turn these materials into a usable weapon. likely to have created the impression that Iraq posed a greater threat than the detailed JIC Assessments would have supported. The report also found that the Iraq Survey Group (ISG’s), sent into Iraq to find WMD after the fall of Saddam, found that his WMD capability had “mostly been destroyed” in 1991.
did not support statements made by the UK and US governments before the invasion, which had focused on Iraq’s current capabilities and an urgent and growing threat. was not the explanation given before the conflict. With reporting from Paul Hosford and Darragh Murphy. Email “Tony Blair led the UK into Iraq war before all peaceful options were exhausted”. Feedback on “Tony Blair led the UK into Iraq war before all peaceful options were exhausted”.